Here I was peacefully teaching my early potty workshop this past weekend and writing my early gentle potty book when along comes Dr. Steve Hodges on HuffPost telling parents, “Don’t Potty Train Your Baby” by asserting that Elimination Communication causes stool withholding (what?!) and that waiting longer for potty learning has no consequences (he simply does not believe the many studies -below- which suggest the opposite). One article in the Huffington Post catches like wildfire and suddenly early potty-ers like me are wrong along with an entire planet full of parents who practice infant elimination communication. [Update: years later, this same Hodges article, in various forms, still circulates widely]. The point of the following article is to separate what Dr. Hodges knows scientifically from merely his opinions on potty learning and to remind parents: THERE ARE ZERO STUDIES THAT SHOW EARLY POTTY LEARNING OR E.C. TO BE HARMFUL. There are multiple studies that show waiting is harmful. Everything I have read in 3 years of collecting research points to THE OPPOSITE OF DR. HODGES OPINION: Stool withholding is more prevalent the LATER a child learns potty.I am depressed and saddened that by reading this article, parents will further push back potty learning and that will cause further widespread UTIs, bowl withholding and infection, constipation and bedwetting almost into the preteens. 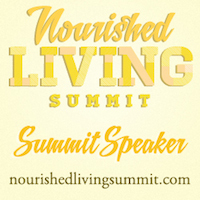 I know the research as well as the science, anthropology and biology behind Elimination Communication and Early Potty and from 17 years of working with small children. My practice has been helping children potty. His practice has mainly been finding bowel obstructions and causes of acute urinary tract infection. I believe I know exactly what’s going on here with Dr. Hodges. He is using the research he knows best (stool withholding and nighttime incontinence), taking a large jump and conflating stool withholding problems and the age of potty learning. Dr. Brazelton took a swift jump just like this in the late 1950’s when he conflated the forcing/shaming/suppository stuffing bad parenting methods of time with the age at which parents were starting potty. Since Dr. Brazelton began speaking about the “Readiness Method” of potty (and since the advent of Pull-Ups in the 80’s), the age of beginning potty learning has gone up dramatically, the amount of time it takes to learn potty from start to finish now takes a year on average and the rates of stool withholding, constipation, urinary tract infection and diaper rash infections have sharply risen. Prior to hearing this opinion from Dr. Hodges, I have only been able to find studies that show late potty learning to be medically detrimental. And what’s more? ZERO STUDIES SHOW EARLY POTTY TO BE DETRIMENTAL. I don’t want to be at odds with Dr. Hodges. I’ve looked back at articles he has written and while I can’t find a study of his to back up his claim that many of his patients with stool withholding problems were the ones who potty trained around 2 years had more stool withholding problems than those who trained at 3 (maybe it was actually harsh parenting and not the age? )- I have noticed that this doc has a great heart and purpose. He, like me, is very concerned about the increase in bedwetting, stool withholding and constipation of children n this country. However, I don’t understand why he is failing to see the bigger picture here-that what has constantly risen parallel alongside these bedwetting and withholding problems is the age of beginning potty training. Hey Doctors! Let’s stop making huge jumps, assumptions and sweeping generalizations based on a hunch, ignoring the numbers and the previous studies or without presenting the details of your own studies with regard to the age of potty learning. Apparently Dr. Hodges has never heard of Dr. Jill M. Lekovic MD who recently spend years compiling the medical, psychological, sociological and anthropological literature about toilet training from all over the world and put it into a book called “Diaper Free Before 3.” Dr. Lekovic is not a friend of mine and she’s not super crunchy like me either- she’s not into extended breastfeeding and she doesn’t love cloth diapers, but I can still recognize that she wrote a very medically thorough book urging parents to begin potty learning earlier to protect the health of their children. Dr. Hodges, you should read it! First, let’s talk about what Dr. Hodges does know. He tends to say, “In my experience” in this article which is valid. There are plenty of other pediatricians and pediatric urologists whose work I have read (below) who have had a different experience. Dr. Hodges believes that he has both experience and research to say that full bowels at night cause bedwetting and this is his primary area of concern and research. Now, I didn’t see the images of full bowels during sleep on XRAY, so I have to let him have this one. I do have a daughter who learned potty early and refused to go to bed until she has emptied her bowels and was dry through the night by 15 months, so he may be onto something with the bedwetting! But I do also know that a previous study from the Pediatric Journal of Urology shows that there is a very significant genetic component to nighttime bedwetting which Dr. Hodges doesn’t mention here. If 2 year-olds are more likely to withhold than 3 year-olds, I’d love to see that study because I don’t believe it one bit and what is the theory as to why that would be true? And it certainly sounds like he was talking about a difference between a 2 year-old who has not had infant elimination practice and a 3-year-old who has not had infant elimination practice, so why is he telling parents who practice Elimination Communication that they are wrong? Has he treated children who have stool withholding problems that you believe came from infant elimination communication? No. Of course not, or he would certainly say that. The truth is: BABIES WHO LEARN POTTY EARLY GENTLY DON’T HAVE STOOL WITHHOLDING ISSUES. PERIOD. Stool withholding is something that often comes from issues of constipation and/or in children who learn potty after the age of 2. Dr. Hodges,I think you just need a short education on E.C and early potty. You see, when babies are taken to the potty frequently to empty bladder and bowels (as is done in E.C families, most of whom are extremely attentive to these needs and not cruelly making their children wait -as you suggest) – they are learning to go to the potty and empty frequently, an extremely healthy lifelong habit. When we let older children decide if or when they will start using the potty, we create toddlers who hold it because they are busy and don’t want to go. And that is why I teach parent-led gentle early potty (starting between 10-18months of age when they can begin communicating about their needs). When breastfed babies gradually learn to hold poop or pee for very short periods of time and gradually learn to communicate to help thier parents get them to the potty, they are slowly and gradually with a parents help -building the muscle control they already inherently have. Dr. Hodges goes on to posit that learning to “put off peeing and pooping” (meaning hold it until you can’t hold it anymore) is the definition of toilet training. WHAT? Then we are not talking about the same thing here. 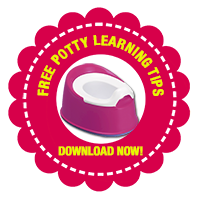 EC and Early Potty is about helping a child learn to make frequent trips to the bathroom to eliminate by beginning early that way- taking them frequently. I certainly agree that holding it for long periods of time is a major problem! And although this doctor says he has some anecdotal evidence from his practice that some kids who are potty trained a little earlier are the ones, he does not state what method these families used, how harsh the parents were or whether any of them practiced elimination communication in infancy. But if he’d like to provide more than one case study or some numbers from his practice or a study looking at withholding in toddlerhood and having practiced early potty/EC before 15months, I’d love to read it. As I said above, I believe stool withholding to be a problem stemming from constipation that hurts. Even a normal bowel movement that is slightly large can be uncomfortable at any age. No matter the age of potty learning, starting potty during a bout of constipation might lead to associating potty with pain and subsequently the child not wanting to poop on the potty. Toddlers who eat a lot of dairy and not enough fiber or who resist drinking water will have more constipation. Babies or toddlers who are still on breast milk or who are not eating mostly solids are much less likely to have constipation which is one of the huge benefits of starting potty early. Older toddlers often can become more picky over time and will choose white-yellow-orange fiber-less foods and dairy products. Younger babes have softer poo and that makes toilet learning feel better. When a parent decides it is time to start potty learning based on perceived cues of the child as in the readiness method, it is still the parent who decides to buy a little potty and encourage going. By 2.5 years or so, even the gentlest parent is personally invested in making potty happen and this can translate into unspoken anxiety children are very perceptive about (E.C parents are actually often less concerned with a certain age to be trained by because they are starting plenty early). Toddlers this age of 2 or so are also very playful, funny, tricky, defiant, busy, fast, hyper independence-minded and not exactly prone to doing those things which you are most hoping for- like cleaning up his toys. This is why they are so darned cute and also why potty learning after 2 is so talked about and challenging! Pediatricians know that many toddlers simply hold pee because they do not want to take time out from activities. Early potty learning while the child is still looking to the parent for entertainment and constant connection is a much better time/way to teach the healthy habit of visiting the potty often to relieve oneself. And if you want to talk about urinary tract infections, you absolutely must not leave out Diaper Rash! Pee stings diaper rash and so babies and toddlers withhold pee- causing infection. So away with the diapers and onto the potty. Early Potty is how I cured my daughter’s recurrent UTIs and why I am such a fervent early potty advocate. I believe that reason Dr. Hodges says he sees many newly potty learning toddlers (2-3 years) with UTIs in his clinic is because the children are at a cognitive age of development where they don’t want to pee in the pull-ups because they don’t want to disappoint a parent or because they are so busy in their play. It is not because children in diapers don’t get UTIs as Hodges suggests. A regular Pediatrician doesn’t send a diapered non-pottying patient to a Pediatric Urologist like Dr. Hodges, she simply helps cure medicates the diaper rash and treats the UTI with antibiotics. Just because Dr. Hodges hasn’t seen diapered children with UTIs, doesn’t mean they don’t exist. I hear about them very week from parents and they happened to my family! They are a very common pediatric issue that does not usually require a urologist. This is a simple example of a specialist using his tiny frame of reference to make a generalization. As a specialist, you must realize that the insights gained come from your specific practice don’t always hold true for most healthy children. And diet and method of toiling (child-led versus parent reminders) has much more to do with the stool problems you see in your practice, no? Dr. Hodges seems to suggest -that the bathroom situations in this country and in schools being awful makes early-trained children ill-equipped to use the restroom (because it isn’t up to their standards?- my kid can squat anywhere!) Actually, the healthy, clean,sanitary and sane thing to do is to bring a travel potty for your child (6-months or 6 years!) wherever you go! So that problem isn’t an age-of-potty issue either. And how bull-headed and closed-minded is Dr. Hodges’ assertion that we don’t need to look cross culturally, historically or anthropologically when we are looking at a health practices issues? Why would somebody say that we should ignore those things with regards to keeping or changing health practices? And it is also so easy for him to poo-poo the effect on the environment and your pocketbook, but last I checked those were both very real concerns for parents. Wow. That’s intense. That’s she sort of disrespectful militant parenting that causes potty problems like fear, shame and resistance in the first place. Oh well, more $$ for Dr. Hodges. Just because the small amount of children Hodges works with need specific medical interventions around timing, that does not mean all children should be treated like this. Not losing track of the last time your child pooped or what it looked like? Sounds like a recipe for parental frustration and anxiety that will rub off on the while, likely causing him to refuse toileting. Potty does not have to be scheduled or regimented, though I love to think about trying to get there about every hour at first and every two hours once pretty savvy, but not on a clock. And it is absolutely recommended to ask your child if they need to go. Most happily toileting children will say yes if they do. Many children will not want to interrupt their play. I suggest asking asking 5 minutes later. Things change quickly with little ones. But hey, isn’t that what I’ve been saying all along about why early potty is wonderful? If you are already taking your baby on your hip with you everywhere, you can give them such frequent sing-song-sitting opportunities to eliminate, versus waiting for your preschooler to decide it all himself, tell you “No!” and hold it until the cows come home. Bakker E; Wyndaele JJ. 2000. Changes in the toilet training of children during the last 60 years: the cause of an increase in lower urinary tract dysfunction? British journal of Urology, 86(3):248-52. Bakker W. 2002. Research into the influence of potty training on lower urinary tract dysfunction. Unpublished MD dissertation, Department of urology, University of Antwerp, Belgium. Bakker E, van Gool JD, van Sprundel M, van der Auwera JC, and Wyndaele JJ. 2002b. Results of a quaestionaire evaluating the effects of different methods of toilet training on achieving bladder control. British Journal of Urology, 90: 456-461. Barone JG, Jasutkar N, Schneider D. 2009. Later toilet training is associated with urge incontinence in children. J Pediatr Urol. 5(6):458-61. Poole JM, Stadtler AC, Wright CL. 1999. Instruction, timeliness, and medical influences affecting toilet training. Pediatrics, 103: 1353-1358. Canadian Pediatric Society. 2000. Toilet learning: Anticipatory guidances with a child-oriented approach. Paediatrics and Child Heath, 5: 333-5. Gladh G, Persson D Mattsson S and Lindstrom S. 2000. Voiding pattern in healthy newborns. Neurourology and urodynamics, 19: 177-184. Gorski PA. 1999. Toilet training guidelines: Parents—the role ofparents in toilet training. Pediatrics, 103: 362-363. Joinson C. et al. A prospective study of age at initiation of toilet training and subsequent daytime bladder control in school-age children. Journal of Developmental and Behavioral Pediatrics 2009 Oct;30(5):385-93. Kinservik, Margo A., and Margaret M. Friedhoff. “Control issues in toilet training. Pediatruc Nursing, 26 (3) (2000) 267-272. Largo RH, Molinari L, von Siebenthal K, and Wolfensberger U. 1996. Does a profound change in toilet-training affect development of bowel and bladder control? Dev Med Child Neurol. 38: 1106-16. Luxem M and Christophersen E. 1994. Behavioral toilet training in early childhood: research, practice, and implications. J Dev Behav Pediatrics, 15(5):370-8. Schum TR, Kolb TM, McAuliffe TL, Simms, MD, Underhill, RL and Lewis M. 2002. Sequential acquisition of toilet-training skills: A descriptive study of gender and age differences in normal children. Pediatrics 109: 48-54. Sillen U and Hanson E. 2000 Control of voidings means better emptying of the bladder in children with congenital dilating VUR. British Journal of Urology, 58: 13. Yang SS, Zhao LL, Chang SJ. 2011. Early initiation of toilet training for urine was associated with early urinary continence and does not appear to be associated with bladder dysfunction. Neurological Urodynamics. Sep;30(7):1253-7. doi: 10.1002/nau.20982. Epub 2011 Mar 10. Yeung, CK, Godley ML, Ho, CK, Ransley PG, Duffy PG, Chen CN, Li AK. 1995. Some new insights into bladder function in infancy. British Journal of Urology, 76:235-40. This entry was posted in Gentle Discipline, Parent Coaching, Political/Queer, Potty Learning. Bookmark the permalink. 22 Responses to Stop Poo-Pooing EC and Early Potty, Dr. Hodges! No, he said “I am not including EC kids who eat unprocessed foods, never leave their parents side, and are home schooled”. THAT is the only group he was referring to. I read the article quite carefully and he was definitely saying that EC can lead to the problems he is talking about, unless they come from the above mentioned group of people. He was lumping EC kids with all early trained kids, except for the kids from that group. That statement about not including the E.C. children makes no sense. Why would he have have used EC as the anecdote from which to start his argument and also to title his article if he didn’t mean to include EC? It is impossible to even use the common readiness method with babies who are nonverbal and not walking so Elimination communication really is the only infant potty method used. There are definitely a few parts to his article that are very confusing as to what early potty methods he is really talking about. Agreed! He can’t say he supports EC because EC is what infant potty training is! Obviously, you can’t “train” an infant, but you can LISTEN as to when your baby needs to go… EC! Hodges is just your typical doctor who thinks (but doesn’t) know everything. Thanks for checking the facts and providing real research on this issue! Thank you for leaving your link on my blog…I wish that you had also left a comment because it was posted in my spam catcher…I attempt to discuss different aspects of parenting and certainly EC supporters should be heard. I still believe that each child is different and parents are essentially trying to do their best in raising their children. Part of doing their best is to read and discover what works best for their child. You might consider a ping-back to my post since that is what I intend to do with your post. Hi Lorette! I had never visited your site so I’m confused as to why my link got to you, but I put a little message on your site just now. I’m going to ask my other blogger guru friends how it happens that my link shows up on someone’s blog where I’ve never visited. I realized that it was not directly from you…sorry for the mistake! Spammers are very clever and sometimes hook a legitimate site like yours to their spam. I will try to send you what I received. I like your site and will visit you again….very solid information. Have a great weekend. Hello – lovely blog post! 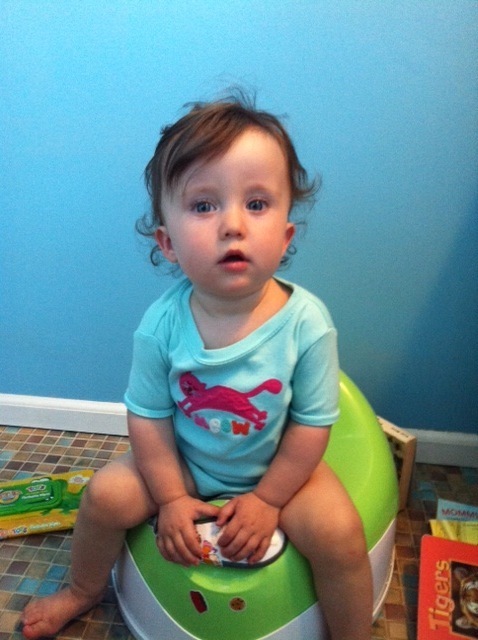 Can I ask what potty your little one is sitting on in this photo – it looks sturdy and a pretty good position ergonomically! Thanks for this article.. I saw your link in the Hodges article. When you read his arguments carefully, there is very little logical sense to them. The whole thing read as if to say “listen to me because I’m a urologist so I know what I’m talking about.” But really he has no clue about EC. One other point about his article.. he asserts that early potty trained kids are ill-equipped to deal with sub-par toilet facilities in elementary schools. Ummm… hello, aren’t ALL kids ill-equipped for that? Why would it matter when you’re potty trained? He doesn’t explain that well at all, like everything. I think the reason why people really liked his article is that they are looking for a reason not to potty train their kids early. If you don’t do EC from very early on, I think it must be pretty difficult to potty train early, and it might make sense to wait until it “clicks.” I wouldn’t know, because I’ve done part-time EC with both of my kids. I kept them in diapers as babies, but they knew what the potty was for and had many “pottytunities” throughout the day. My younger one really got it as an infant and almost never pooped in her diaper. Now she’s 17 months and she prefers the potty but will use her diaper if necessary.. no way does she hold it in. My older daughter needs to wear a pull-up at preschool because she doesn’t feel comfortable asking to use the bathroom there, or maybe she is too busy playing, we’re not sure, but she was peeing on the floor and after that we had to put her in a pull-up. After a while we realized we could just bring her little potty in and she would go on that with no problem, no more pull-ups. So she’s definitely not holding anything… I guess she’s not really “trained”- but that’s not the point of EC. That is what’s so infuriating about Hodges’ article, EC is not training, and he doesn’t get that at all. Danielle, Yes! I really love the part of EC that training isn’t the point- the health of the child (not sitting in diapers) and being easy on the environment is. I think that really takes the stress off of parents to think of it that way- and one of the reasons why EC is great is that it doesn’t have the stress of a deadline. But, I developed my Potty Savvy method of early potty 10-18 months for people who did EC and need a next step/ didn’t get very far/ were overwhelmed or didn’t quiet make it around to doing EC- to give another alternative to waiting and the readiness method. Sorry for this gigantic delay! I didn’t see this comment. We love the Potty Pod by Prince Lionheart and it is amazing. However I am really into the idea of squatting (naturally, ergonomically) and I am creating a learning potty with the Squatty Potty company. I am from a culture/society that until recent generation practiced EC very widely. Even today child who would be still in diapers after age 2 is considered something horrible. “Modern moms are lazy, children are spoiled” etc. For me the diapers are not about convinience, it’s about being loving and sensitive parent. So I was shocked and saddened when I saw that EC has become a new trend for “hipster” parents in the West. 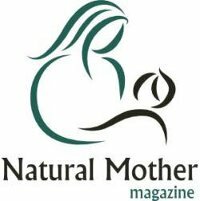 I really love concept of attachment parenting – baby wearing, cosleeping, breastfeeding, positive discipline – but I just can’t put EC in the same list! EC comes from old school parenting that has damaged so many people in my society, including me. You can’t say – look at the other cultures, they are fine! – no they are not. So many depreast people, so many domestic violence, so many alcohol abuse cases… Yes, it’s not direct outcome from EC, it’s many reasons togeatther, but EC fits in. You should love your baby unconditionaly at least first year, and not put pressure of your expectations on him/ her, not use him/her as Pavlov’s dog by playing with his reflexes! And as the doctor you criticize puts it – look at animals! They do their thing when ever they feel the urge. So should a little baby do until he can understand the concept of potty. When I was pregnant, I talked to my mother about potty training, and then suddenly it came back – that feeling of being forced to sit on the potty while you don’t understand the reason behind it, conflict and tension between parents and child, jokes about all the pooping and peeing sounds… I don’t know if it is a coincidence, but I can hold my urges quite long, sometimes in the end of the day I suddenly remember I haven’t used toilet since last night. And yes, I had had recurring painful bladder infections. When it comes to my son, my role model is my friend – her son compleated potty training around 2 years, peacefuly, without traditional war or power struggle. My son got eco disposible diapers + some clothe diapers + regular naked time when he just pees on the floor, I hope potty training will go reasonably smoothly when the time comes. I know EC seems freash, cool and alternative to you, but for me it represents all those angry grandmothers who allways knows best how to raise a baby, while their own children don’t even whant to speek to them. Ugh. And it feels realy humiliating when you already use a toilet or potty, but grownups still jokingly uses those reflex sounds. Please, don’t do that to your children!